Transported into a sharp-suited, effortlessly chic 1950's Verona, Kenneth Branagh's latest Shakespearean offering packs a promising punch. Choosing a starry cast to tell the star-crossed lovers tale, Branagh's Romeo and Juliet is quite unlike other versions of the tragic classic, in a way that makes for a frustrating watch. 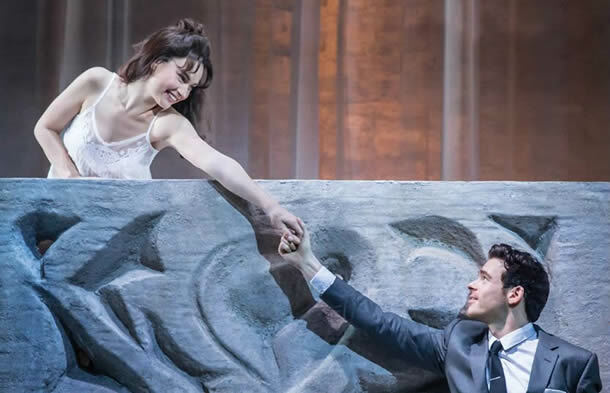 Fresh-faced from their pairing in Cinderella, Lily James and Richard Madden are reunited as juvenile Juliet and ravishing Romeo. Unfortunately, theirs is a force that feels rather flat, and it seems quite odd that the two fall so completely, deeply in love, without even so much as fluttering eyelashes. Why the champagne-swigging, ever-giggling Juliet is so appealing to heartthrob Romeo is baffling, as James inhabits Juliet's 14 year-old youth perfectly. In fact, in all the versions I have seen, I have never felt so aware of her age. And although James' Juliet is a breath of fresh air, Madden's rather clunky Romeo feels too nice, too passive, and less like the hot-blooded, impassioned teenager. Branagh's decision to cast Derek Jacobi as Mercutio, however, is one that proves fruitful on stage. Playing a bit of a dandy, Jacobi's experience with the language is hugely prevalent, and Mercutio becomes more of a wisdom-filled confidant rather than a rash youth. Not all of Branagh's decisions pay off in the same way. Although Branagh's gift for injecting comedy is unrivalled, it has little place here. 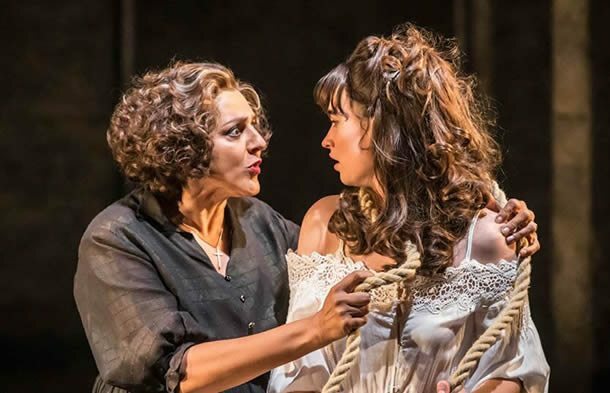 Meera Syal makes a wonderful turn as the Nurse, giving the character more life and wit than perhaps necessary, causing the comedy to seem too contrived. At times it seems to be forgotten that Romeo and Juliet is a tragedy, with comedy gratuitously wheedled out of moments, which essentially robs the all-too tragic ending of any gravitas. Yet there are some wonderful performances across the board. Ansu Kabia's fiery Tybalt is both fierce and frightening, with enough passion to make an excellent Romeo, whilst Kathryn Wilder's Peter is brilliantly endearing. Michael Rouse's Lord Capulet is also extremely strong, making it very clear why Juliet is so determined to rebel. Christopher Oram's innovative set allows for most of the magic, with rising and falling pillars that give the actors a diverse playing space. After three hours I did begin to get rather restless. The production is just fine, but it never reaches a climax, despite Bret Yount's exciting fight direction. Branagh's take on the tragedy leaves you feeling slightly empty, never really getting the sense of the inconsolable tragedy that befalls the Capulets and Montagues.